Vinyl’s been experiencing quite the resurgence, and some great new players have been popping up as well. 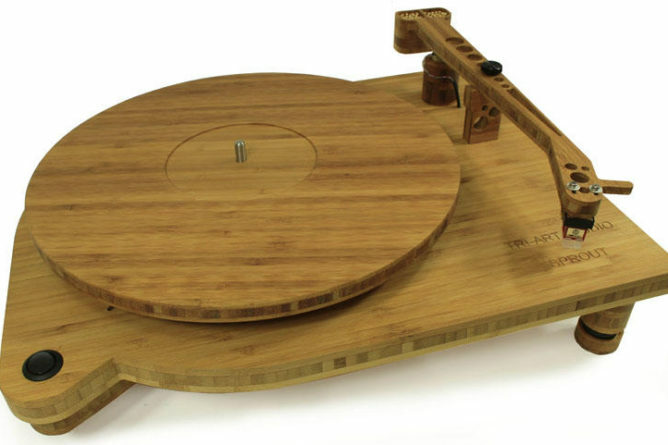 Take Tri-Art’s Sprout turntable as an example, which is mostly made of bamboo, known as an eco-friendly material and is soaked in hemp oil and sealed in beeswax. Of course, it’s not made entirely out of bamboo; it comes with a bronze collar bearing with steel ball bearing and an aluminum sub platter with steel shaft. The turntable is available for $650, and the version with the cartridge and MM phono costs $995. Check out more of Tri-Art’s products on their website.